The goal of the Maricopa Institute of Technology’s (MIT) school curriculum and instructional support team is to help all students reach their learning potential. Teachers and leaders will focus on creating curriculum, instruction, and assessments that are rigorous, integrated, and aligned to Arizona College and Career Readiness, national, and international standards. 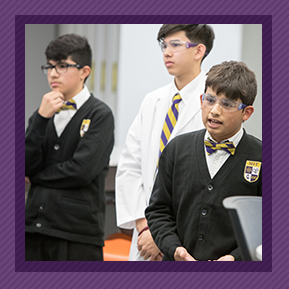 All classes will incorporate communication skills, innovation, critical thinking, problem solving, and collaboration to master reading and writing skills to ensure students are academically prepared for college and career success.